The fascination or the rich elite of the late 17th and 18th centuries with the idea of academies, particularly Arcadian Academies, is curiously fascinating. That these aristocrats (including aristocrats of the church) could all take the names of shepherds and discourse on pastoral poetry seems rather far from our experience. Music was also mixed up in there too. The rules of one of Queen Christina of Sweden’s intellectual academies specified that every meeting end with performances of vocal and instrumental music. In Rome, the Arcadian Academy was hosted by Cardinal Ottoboni (1689 – 1740), a rich prince of the church whose household was a magnet for musicians. So that many of the cantatas written under Ottoboni’s auspices were probably for performance at the Arcadian Academy. Ottoboni also held a weekly academy of music and amongst the musicians involved were Caldara, Albinoni, Alessandro Scarlatti, Domenico Scarlatti and Handel. 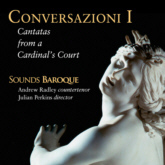 This disc from Sounds Baroque explores this milieu with a selection of cantatas and instrumental works written for Ottoboni. This year's Kings Place Festival runs from 14 to 16 September and takes the familiar format, 100 concerts spread over three days, all concerts 45 minutes long and costing £4.50. With lots of free foyer events too. And there are some amazing things. When Herbert Howells son died from polio at the age of 9, the composer found he could write little. He did complete a Requiem for unaccompanied choir, which set a distinctive and eclectic group of texts very much in the manner of Brahms's German Requiem. This very personal work even had marks on the manuscript made by his son. Out of this also came the idea for a larger scale work on a similar theme, but for voices and orchestra. The death of his close friend Ivor Gurney probably acted as a final stimulus and he sketched out Hymnus Paradisi. Neither work was performed or published. It was only in 1950 that he finally allowed Hymnus Paradisi to be performed; it was premiered at the Three Choirs Festival in Gloucester Cathedral with Isobel Baillie and William Herbert as soloists. The unaccompanied Requiem would have to wait until the 1980's before it was finally allowed to be performed. On Monday we went to Waddesdon Manor (owned by the National Trust) to see the exhibition of Edmund de Waal's work which had been installed in the house's state room. De Waal had created a series of specially created installations in response to the house and its contents. The house, which was built in the 1870's by Ferdinand Rothschild, contains an extremely fine porcelain collection, being particularly strong in Sevres. We have seen de Waal's installations at the V&A and at Chatsworth, but our main experience of de Waal's work has been seeing it in his studio. 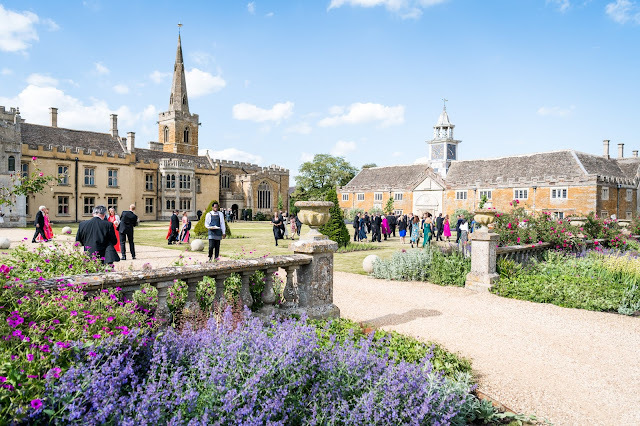 The interiors of Waddesdon are particularly rich and busy, so we were curious as to how work and location would respond to each other. Couperin’s petits motets have a rather interesting history. They were written in the 1690’s though we don’t know for whom. 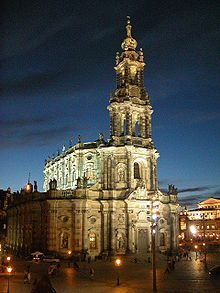 Couperin had links with the Church of St. Andre des Arts and also with the exiled Jacobite Court at St Germain en Laye, both of whom promoted music in the Italian style. 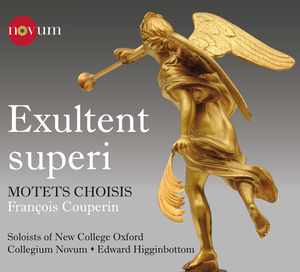 Couperin’s petits motets are very Italian, in fact Edward Higginbottom in his booklet note describes Couperin as transferring the Italian trio sonata idiom to the motet genre. Of course, Couperin had Royal links as well so his motets may well have been performed by the chapelle royale. At this establishment, the service opened with a grand motet, a petit motet was performed at the elevation with a final Domine salvum fac Regem at the end; though it should be understood that the service itself went on largely silently whilst the music progressed. It is not clear whether all of Couperin’s would have been suitable for the Elevation. 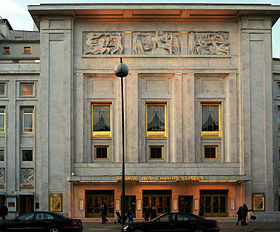 Next year the the centenary of the Theatre des Champs-Elysees, a theatre whose first season (in 1913) included the premieres by Diaghilev's company of Debussy's Jeux and Stravinsky's Rite of Spring, both to choreography by Nijinsky. The building itself represented and early use of reinforced concrete. For its 2012-13 season, the theatre is presenting a fine and tempting array of operatic goodies, both staged and in concert. A perfectionist might argue that there is a case for some operas only being cast from singers who are fully formed artists with a goodly array of technique and life experiences. But we live in the real world, Mozart's Don Giovanni is popular with audiences and forms a staple for many a young artists and small opera companies. And, after all, how to learn but by doing? So, I caught up with the second of Co-Opera Co's performances of Mozart's Don Giovanni at the John McIntosh Theatre at the London Oratory School on Friday 24 August, eagerly awaiting how the young singers would deal with one of the masterpieces of western music. At 12.00pm today I will be singing in a Tridentine Mass at St Mary's Roman Catholic Church, Cadogan Street, Chelsea, London SW3. St. Mary's Latin Mass Choir will be singing Lassus's Missa quand'io pens'al martire, Palestrina's Pater Noster a 5 and Charles Wood's Oculi Omnium and three priests will be celebrating mass for the Feast of St. Louis in the Extraordinary Form. 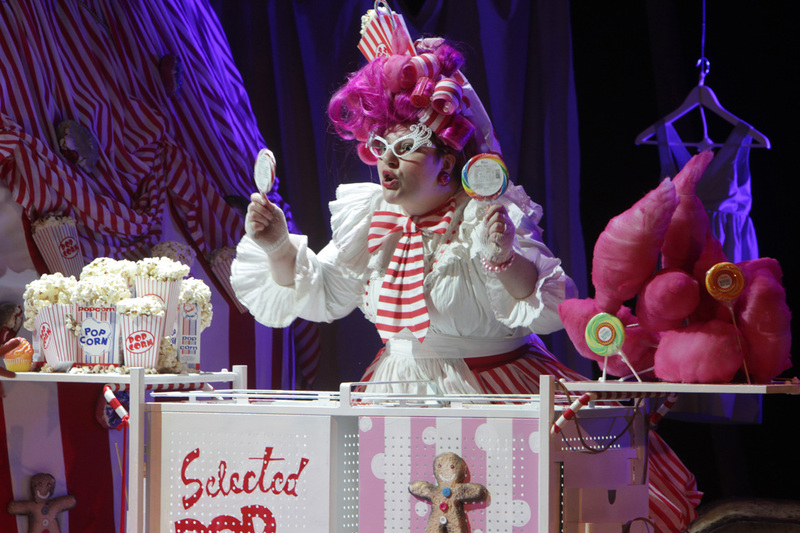 Humperdinck's Hansel and Gretel might have an apparently simple story based on a fairytale, but the opera itself is a deceptively complex beast. For a start, Humperdinck was one of Wagner's followers, he was an assistant to Wagner and music-tutor to Siegfried Wagner. This means that the score is very fully and richly orchestrated; it might be about children but it requires more than children's voices. Also, scenically it calls for quite a bit of skill, with the various magical transformations that are required. For performers, it has one fatal, yawning trap. Hansel and Gretel might be on stage for most of the three acts, but unless they are strong and sympathetic performers, there is a strong danger of the witch snatching the opera from them. The witch is in fact quite a small role, but it is such a gift that, in the right hands, it can run away with the opera. So all in all, quite a few challenges, and a very apt work for a group such as Co-Opera Co which aims to help coach young opera singers and give them experience. We saw the first night of their new production of Hansel and Gretel at the John McIntosh Theatre in the London Oratory School on 23 August 2012. 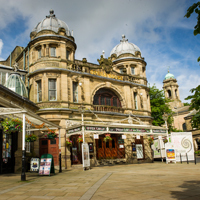 Next year's Buxton Festival takes place from 5 July to 21 July 2013. The festival will be presenting three operas in their own productions. Mozart's La finta giardiniera and a double bill of Saint Saens's La princesse jaune and Gounod's La colombe. The visiting operas will include Grange Park Opera's Rising Stars in Messager's Fortunio. The National Trust has increasingly started commissioning and displaying contemporary art in its houses and gardens, on the admirable basis that the contents of them shouldn't stay entirely static and self-regarding. The latest installation, at Kedleston Hall in Derbyshire, mixes outdoor sculpture with listening and attending to the landscape. My review of The Mikado from Australian opera is here. Dynamic and quite vivid. Annoying or characterful, it depends on your point of view. And my review of Monteverdi's Missa in Illo Tempore recorded in Mantua, is here. 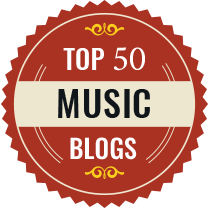 Both reviews are on MusicWeb-International.com. Strong, well shaped performances, naturally placed and performed by an interesting ensemble. The sound of Pink Floyd is the sound of my student days. In Manchester in the late 1970's it was one of the things that you listened to. I can't say that I have really thought about them a lot since. But now they cross my path in entirely a different way. The young pianist AyseDeniz Gokcin is planning to record three Pink Floyd songs, arranged à la Liszt into a fantasy-like sonata. Sounds intriguing, we look forward to hearing more. Last night's Prom (Prom 53, 23 August) had Robert Hollingworth and I Fagiolini making their Proms debut with a concert based on the music from their recent CD of music for vespers based on Venice in 1612 (see my review). The concert included the world premiere of Hugh Keyte's reconstruction of Gabrieli's In eccelsiis, which Keyte has put back to a putative original version for four five-part choirs, along with the London premiere of Keyte's amazing reconstruction of the 17th century arrangement of a Gabrieli Magnificat. Gabrieli's lost original was for three choirs, but in the 17th century it was arrange for seven, of which only two part books survive, the rest have been reconstructed by Keyte. All in all, we were given a wonderful treat. The In Harmony - Sistema England newsletter popped into my inbox the other day. In addition to reporting on the welcome news about the expansion of the project into Leeds, Newcastle and Gateshead, Nottingham and Telford & Wrekin, there is a report on Julian Lloyd Webber performing with the National Youth Orchestra of Iraq, an inspiring interview with a young player from In Harmony Lambeth and a report on how the children of In Harmony Lambeth played with the Beijing Symphony Orchestra, under Tan Lihua, whilst the orchestra was in London. More details (and sign up for the newsletter) at the In Harmony - Sistema England website. I switched on the radio half an hour ago to listen to something whilst doing work. I listened to Radio 3 cold, didn't bother to check what it was. It was a programme on Ivor Novello with Simon Callow. I listened, at a distance, to the singers (soprano and tenor) doing a duet from Glamorous Night and was very struck. Now, the eagle eyed amongst you will have guessed that it was a repeat of Sir Mark Elder's Ivor Novello Prom. And lovely it is too. But, even now that I know the soprano is Sophie Bevan, I keep hearing echoes of the great Wagnerian soprano, Rita Hunter. It was also good to hear Toby Spence in such good voice. Even in the days of relative plenty the Arts Council had a tendency to occasionally swat down companies pour encourages les autres. Those, like me, with long memories will still remember Kent Opera, the London Handel Society and the D'Oyley Carte Opera. Now, those wonderful people at Brighton Early Music Festival have learned that their ambitious programme for this year's festival, celebrating their 10th anniversary, will not receive a grant. This leaves them some £38,000.00 down. I have to confess that I sometimes wonder at the logic which goes into the planning of orchestral programmes. Last night’s Prom from Andris Nelsons and the City of Birmingham Symphony Orchestra (21 August) started with a Russian orchestral showpiece, Glinka’s Russlan and Ludmilla overture, and finished with one of Shostakovich’s most pregnantly political symphonic statements, his Leningrad Symphony (Symphony no. 7). In between, we didn’t get a suitably Russian concerto, or a piece which cleverly linked with both Glinka and Shostakovich. 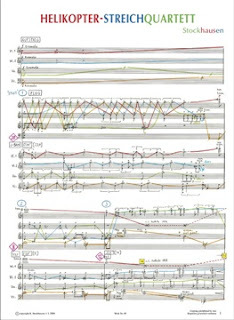 Instead young English composer Emily Howard’s orchestral work, Calculus of the Nervous System, received its first UK performance, giving the composer her first Proms outing. The programme sort of worked, the three pieces were so diverse and each showed a different side of the orchestra, allowing Nelsons to demonstrate what a fine and brilliant instrument the CBSO has become under his direction. But I couldn’t help thinking that Howard’s piece was a little becalmed, there in the middle. Fazil Say is not necessarily a name that you will know, but he is a distinguished Turkish pianist who studied in Ankara and Dusseldorf going on to perform with orchestras such as the New York Philharmonic and Israel Philharmonic. Now Say will be tried in his native Turkey on 18 October for inciting hatred and public enmity, and insulting religious values. The cause? That notorious weapon of mass media destruction, the Tweet. Say had an exchange of tweets with a follower which could be seen as simply witty, but reading the conversation, could seem to call into question the notion of paradise and brings up the subject of alcohol. Now the subject of free speech, informed comment and witty retort has long been a problem with the Turkish regime as they attempt to come into line with EU norms whilst understandably wanting to preserve the tenets of Islam. But the reaction to Say's 'offence' seems heavy handed at least; he could face a maximum of 18 months in prison if convicted. Now the young Turkish pianist AyseDeniz Gokcin has played Say's own Alla Turca Jazz on the 50 street pianos in the City of London in order to highlight Say's trial in October and support her countryman in a musical way. Last night I attended a Q&A session with Emily Howard, on the eve of the first UK performance of her orchestral work Calculus of the Nervous System which is being performed at tonight’s Prom (21 August 2012) by Andris Nelsons and the City of Birmingham Symphony Orchestra. At the Q&A session Howard was interview by Paul J. Guest about Calculus of the Nervous System and its position in her recent body of work. 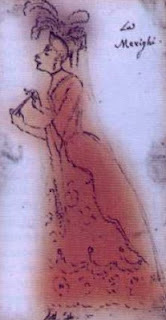 Calculus of the Nervous System is the third of a trio of works which Howard has written all dealing with Ada Lovelace. 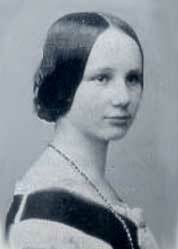 Lovelace was Byron’s daughter and a strong character in her own right, she helped Charles Babbage with his work on his Analytical Engine and has been called the first computer programmer. This autumn's concerts at London's Handel House Museum include an interesting array of performers and music. Harpsichordist Richard Egarr and mezzo-soprano Daniela Lehner are resident in September, performing all eight of Handel's harpsichord suites alongside arias from operas. Later in September, the English Concert are in residence, giving five concerts with music ranging from Bach, Baltzar and Bach, to Venetian sonatas for Cello and Basso. 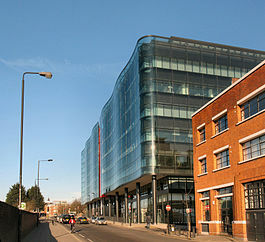 To Hammersmith's Riverside Studios yesterday to catch the last day of Tête à Tête: The Opera Festival. We saw Leo Geyer's The Mermaid of Zennor (see review), plus two of their Lite Bites. Plans to see a performance of Tête à Tête's own production of Samuel Bordoli's Amerika, based on Kafka, were confounded by late running of the planned schedule, always a problem when presenting new work. 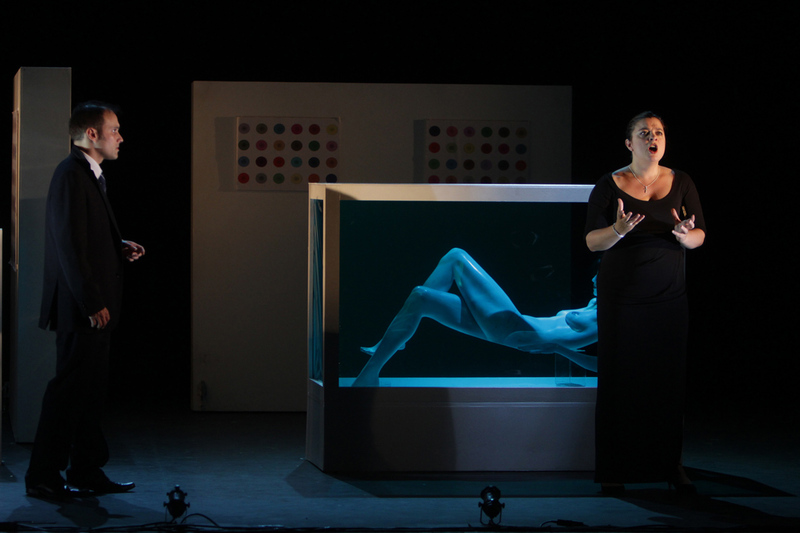 The Mermaid of Zennor is the first opera from young composer/conductor Leo Geyer. The opera was premiered in Manchester, where Geyer is currently studying at Manchester University and the Royal Northern College of Music. 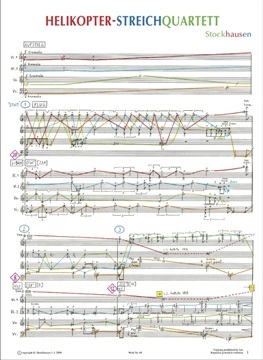 Geyer is the co-founder of the ConstellaOrchestra and it was with this ensemble that he premiered the piece, bringing them to this year’s Tête à Tête: The Opera Festival at Hammersmith’s Riverside Studios for further performances, where I saw the second performance on 19 August. If you enjoy exploring the music of Brahms then there will be of plenty of interest in the Kings Place autumn season, with the conclusion of their Brahms Unwrapped theme. Now I have to admit that Brahms is not too high on my list, but even for a philistine like me, there are plenty of other rather enticing events. Their autumn season starts with the Kings Place Festival (14-19 September) and following that the autumn programme runs from 19 September to the end of December..
Two years after Anna Strada joined Handel’s company, another remarkable singer appeared. The bass, Antonio Montagnana made his debut in London in 1731 at the Kings Theatre in a revival of Tamerlano. Montagnana first comes to notice in Italy in 1730 singing operas by Porpora of whom he was supposed to be a pupil. For the revival of Tamerlano, as he often did in revivals, Handel trimmed the recitative to the bone but inserted a splendid new aria for the minor bass role of Leone. Though the aria was simply an elaboration of one from Riccardo Primo it enabled Handel to show of his splendid new bass, with a remarkable two octave range. Montagnana would sing 11 roles for Handel over the next two years. Handel took great advantage of Montagnana’s wide range and in revivals expanded the bass parts to suit the singer’s capabilities. The Orchestra of the Age of Enlightenment's new season at the South Bank Centre has the theme of Queens, Heroines and Ladykillers running through many of the concerts. They open with reigning diva Anna Caterina Antonacci in scenes from operas by Cherubini, Gluck and Berlioz conducted by Sir Roger Norrington. In addition to Cherubini's Medee and Gluck's Iphigenie (from Iphigenie en Tauride) she will be performing Didon's farewell from Berlioz's Les Troyens. For those of us that have seen Antonacci on stage memorably as Cassandre from the same opera, it will be an opportunity to hear her in the other role. You also get Bizet's Symphony in C, which strikes me as being slightly odd company. Szymanowski's King Roger is an opera which still does not have the currency it deserves. There have been a few recent European productions and now Santa Fe Opera has made a very strong case for the work in Stephen Wadsworth's new production with Polish baritone Mariusz Kwiecien in the title role. Szymanowski's score is lush, complex and richly allusive, but very compact; just three acts of 30 minutes each, which Santa Fe Opera played without a break. It is difficult to understand why the piece has not become more popular because the score is by no means as challenging as Berg's Wozzeck (which was written at the same time), though Szymanowski's multi-layered exoticism and luscious textures can seem a trifle rich to digest at first. But his style is not just about surface beauty, and the piece is highly dramatic and expressive. Stephen Barlow's new production of Puccini's Tosca at Santa Fe Opera(seen August 8) is deliberately traditional but within this framework, both sets and staging introduced innovations. Yannis Thavoris's sets took elements of the real life locations (Church of Sant'Andrea della Valle, Palazzo Farnese and Castel Sant'Angelo) and re-cast them in a spectacular and non-naturalistic manner. 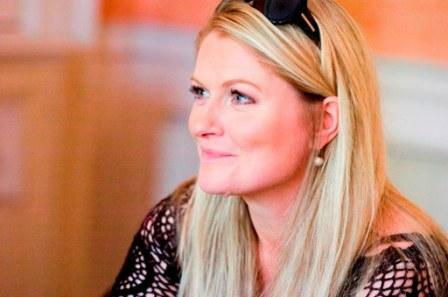 One of Patricia Bardon's criteria for choosing projects is that they are interesting and rewarding. On that basis, singing in a rare modern revival of Rossini's challenging opera Maometto II at Santa Fe Opera would seem a logical candidate. The Irish-born mezzo-soprano has been singing the role of Calbo in the opera and I caught up with her the day after the penultimate performance. 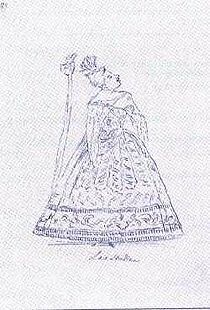 Rossini clearly thought highly of Maometto II, unsuccessful at its premiere in Naples in 1820, he altered the piece and presented it in Venice, still to no great effect with the public. Finally he re-worked it entirely for Paris as Le Siege de Corinthe. Performances in the present day are still relatively rare and Santa Fe's new production of the opera, which unveiled a new critical edition, was a welcome opportunity to assess the piece on stage. The piece was written quite late in Rossini's Neapolitan career and the piece incorporates various structural innovations which perhaps did not appeal to the Neapolitan public. 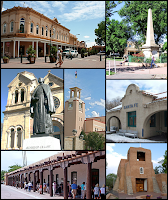 Santa Fe as we know it was founded by the Spanish in the 17th century, the town still preserves some of the adobe buildings dating from this period. Spanish rule was not untroubled, with a revolt in 1680 by the local population. The Spanish brought priests with them, with the intention of converting the locals. Adobe churches in the area are some of the earliest and most striking monuments to this, their distinctively styled exteriors married to lively painted interiors. The area contains the earliest buildings erected by Europeans in the USA. 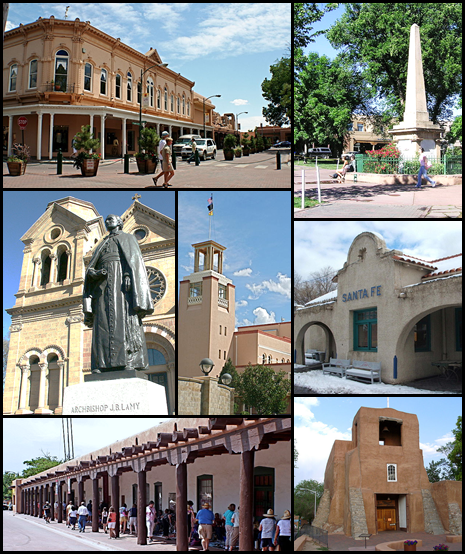 Santa Fe's history changed in the mid 19th century when the are was annexed by the United States and became a territory. When William Savage sang Childerico in Faramondo, the role of Gernando was sung by Antonia Maria Merighi. This was to be her last season singing for Handel and though she had arrived in 1729, she had only sung with him for two or three seasons. But her voice type was one that is important in Handelian opera seria. We tend to associate Handel operas with high voiced prima donnas, the castrati and the sopranos. Undoubtedly these were the stars and any cast need them to draw in the public. But there was another group of singers who were important, the mezzo-sopranos/contraltos who specialised in travesty roles. 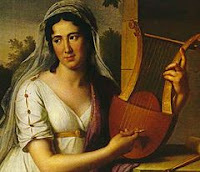 Castrati never sang female roles for Handel, though castratos did take female roles in Italy. So the presence in his company of women who could sing either a male or a female part gave him excellent flexibility. Their legacy is a series of low coloratura contralto roles which serve to add variety and depth to the operas. Your chance to spot the opera stars of the future - British Youth Opera's annual residency at London's Peacock Theatre is from 8 to 15 September this year. As ever they are performing an enterprising pair of operas, both being performed by BYO for the first time. Smetana's The Bartered Bride will be given in Kit Hesketh-Harvey's English translation, directed by Rodula Gaitanou and conducted by Peter Robinson. And Judith Weir's A Night at the Chinese Opera will be receiving some welcome London exposure in a production directed by Stuart Barker and conducted by Lionel Friend. Amazingly this represents the work's 25th anniversary, and be only the fourth British production. Further details from the British Youth Opera website. In 1740, Handel produced his penultimate opera, Imeneo, at the theatre in Lincoln’s Inn Fields. 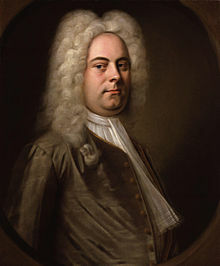 It is a slightly artificial pastoral, which needs only small forces and much of it is in the lighter, more melodic vein that Handel employed in many of his later operas (the London Daily Post announced it as an operetta). It ran for a meagre two performances, this was a period when internecine disputes had not only weakened the opera companies but had temporarily tired out the appetite of the rather small operatic audience. Though it is not a grand opera, it is by no means a weak work and when Handel presented in Dublin (in concert form as a serenata) it went down a storm. The story concerns the heroine, Rosmira’s problems trying to decide between two suitors, Tirinto (mezzo-soprano) and Imeneo (baritone). To a packed Royal Albert Hall last night for Bach's Mass in B Minor from the English Concert with Harry Bicket. 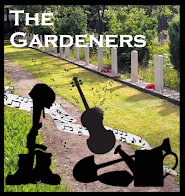 Now, the last time the work was performed at the Proms, in 2004, it was John Eliot Gardiner and since the mid-1970's all performances of the work at the Proms have been period performances. Why? I'm a committed lover of period performance practice and my favourite performances of the work are those with just one singer to a part. But in a festival like the Proms, surely there is room for everything. Couldn't we have Sir Colin Davis conducting the piece with modern forces. Sir Colin is one of the most spiritual conductors around and to hear him conduct the piece would, I think, be quite something. Presteigne (Llanandras in Welsh) is a small town on the Welsh borders in Radnorshire; a perhaps slightly unlikely venue for a lively and interesting music and arts festival which has a highly welcome strand of contemporary music to it. The festival has been directed since 1993 by George Vass. This year it runs from 23 to 28 August and is full of goodies. A media storm seems to have been developed recently around the popularity of El Sistema (and its off-shoot, the Simon Bolivar Orchestra) along with the UK-based schemes such as In Harmony - Sistema England, which are inspired by it. Igor Toronyi-Lalic wrote a certainly provocative and perhaps intemperate article for Classical Music magazine (28 June issue) in which he questioned much about the accepted wisdom of El Sistema and its UK incarnations. Amidst the challenging language, Toronyi-Lalic makes some fascinating points. Since 1956, there has been an opera company based in Düsseldorf and Duisburg, in Germany's Ruhr valley, called Deutsche Oper am Rhein. The company performs at Opernhaus Düsseldorf (originally build in 1875 and re-built in 1956 after war damage) and Theater Duisburg (built in 1912 and re-built in 1950 after being completely destroyed in the war). In fact, it is much more than just an opera company, more like a cultural hub. There is the opera company and opera studio, the ballet (Ballett am Rhein) along with a ballet school, the Duisburg Philharmonic Orchestra and the Düsseldorf Symphony Orchestra, plus work with young children. Now all this is threatened. To the Chelsea Physic Garden last night for an evening of Butterfly spotting. The garden had exotic butterflies in its tropical corridor, butterfly friendly flower beds outside and had commissioned six new watercolours by the botanical artist Mary Ellen Taylor. These were to celebrate the links with James Petiver (1664-1718) and his work with butterflies at the Chelsea Physic Garden. The exquisite watercolours were of common English butterflies.